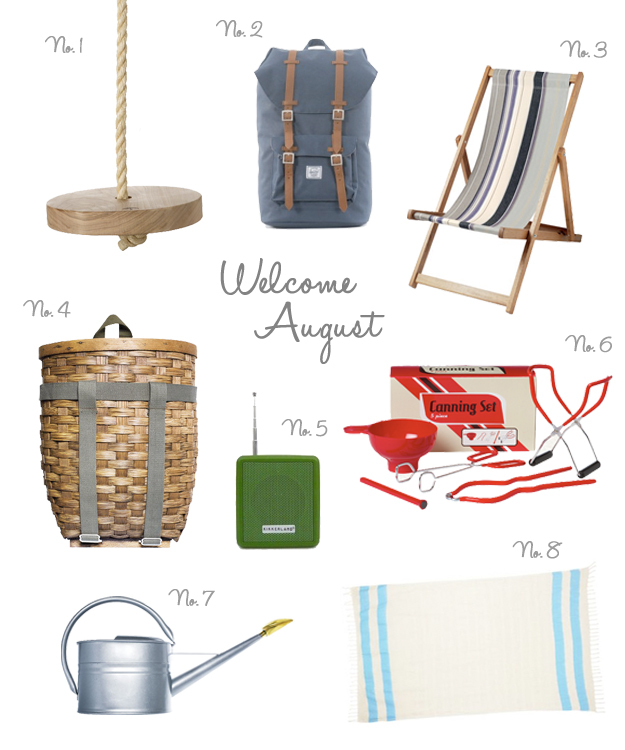 The Design Boards: Welcome August! August is all about enjoying the last fleeting moments of summer - Taking in a few more lazy days at the beach, planning a weekend camping trip, preparing the garden for Fall, enjoying the last taste of produce from the local farmer's market and canning and preserving what's left of summer's bounty. I am going to take full advantage of these last few weeks of summer. I have a trip planned this week to the mountains with friends and I have a few last minute summer projects that I hope to get in before September. What do you have planned for August?